If a picture is worth a thousand words, then these pictures say everything about what Christmas was like all during my childhood. It wasn't exactly the happiest of times. More often than not, it was the worst time of the year. Even now, I still tend to get depressed during the Christmas season. 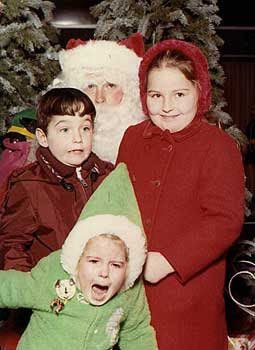 It's nice to know that I am not alone in my childhood Christmastime trauma. 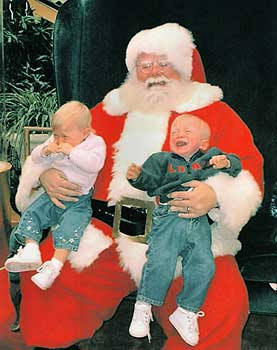 You can see more pictures like these if you click the link above for the "Scared of Santa" website.